With the pacing of a chess match, and the musicality of…a chess match, Sgt. Lonely Hearts Club Band is a tough slog, even for us, frequent champions of the terrible. How is it humanly possible to turn great Beatles songs into unlistenable mush? Well, much of the blame lies at the feet of the Bee Gees, which give many of us the heebie- jeebies. Their squeaky voices and generous pompadours are enough to turn stomachs, that’s for sure, but it’s not like there’s not lots of blame to slather around. They, along with Peter Frampton, are members of a supergroup from which the film’s title is derived. They’re stars of Heartland, USA, a fictional town located in (wait for it) the heartland of the United States. They probably should’ve hailed from Tin Ear, Indiana. BD Records signs, and then exploits them, but it’s hard to tell who’s exploiting whom. A strong case could be made that when it comes to exploitation, it’s that of the cochlea or auditory nerve. Filmed mostly around an MGM backlot gazebo that’s probably given a healthy workout during episodes of Gilmore Girls, Sgt. Pepper’s features musical numbers as pedestrian as the town square sidewalks. Steve Martin mallets his way through Maxwell’s Silver Hammer, Barry Gibb badly warbles A Day in the Life, Billy Preston sashays his way through Get Back…And speaking of getting things back…how ’bout that lengthy run-time? On the Really Awful Movies Podcast, we have occasionally delved into atrociously bad musicals, discussing films like Xanadu and The Apple. And stinkers though they were, they were fun and spirited. This one though, yikes. Steer clear. That’s MISTER James Brown to you, and he called everyone “Mr.” too. 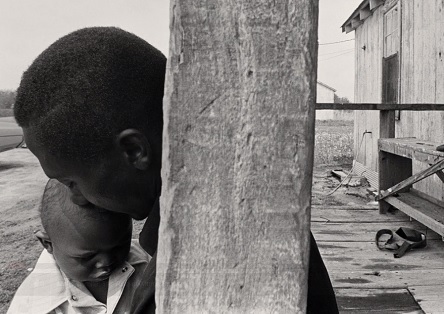 While technically growing up James, he was always called “Jimmy” and to a young Brown, “Mr.” connoted respect — both given and received. As a kid who grew up a call-girl wrangler and shoeshine boy in terrible circumstances in the Deep South, he almost miraculously morphed into THE greatest entertainer of the 20th century (forget Sinatra, Elvis, and yes, Michael Jackson). Much RESPECT indeed. 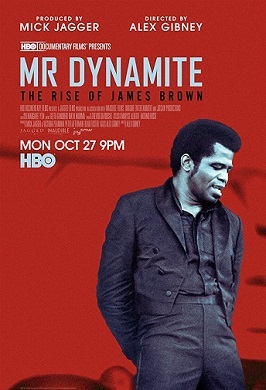 Mr. Dynamite: The Rise of James Brown is a a look at that journey, a peek into the life of a demanding, tyrannical (and at times lonely) genius who fined his bandmates for wardrobe slip-ups and missed notes, and even got into armed confrontations with them! There’s some great music nerd stuff, as trombonist Fred Wesley recalls how he was a less-than-enthusiastic funk music fan, but appreciated how James Brown was doing something different, so he decided to join the band when the offer was extended. Mick Jagger talks about 1964’s seminal concert film, The T.A.M.I. Show, and how he stole a bunch of Brown’s moves (Maybe Adam Levine would’ve written about JB if his name were an extra syllable). Questlove, the effortlessly cool drummer from The Roots, breaks down “grace notes” and how a tambourine is used in church and how JB’s two drummers created the nasty funk sound. But what’s so great about Brown is…that he made poet Ezra Pound’s famous modernist injunction, come true: ‘Make It New! That’s what Brown was all about. Cold Sweat, is arguably the first funk track, throwing everything on “the one.” Brown basically created a sound that has its reverberations to this day in hip hop. Most people are lucky enough to create one style of music, let alone lay the foundations for another. LEGEND.